Guardians of the Galaxy adventures continue in the most recent Marvel movie release. The team travels across the Universe to fight, solve problems, love & find what they are looking for many years without realizing that. In new movie fans join epic space adventures of Peter Quill aka Star-Lord and his gang where everyone is unique and has special skills. They patrol and protect the universe but get into troubles as easy as you can only imagine. I think there is no lack of absolutely crazy character you can encounter in universe, but you can be surprised what everyone want deep inside their hearts. When Star-Lord long-lost father Ego shows up and offers to reunite with son, Peter Quill is happy more than anyone else. Guardians of the Galaxy Vol. 2 is more about family than fights, more about connections than power and searching the answer to the question: "Why I am here?". Peter Quill finds out who his father is, Nebula does not want to compete with Gamora any more and only wants to have sister in her life. Yondu and Peter Quill is there to learn what is real relationship is. While the number of battles and spectacular scenes often outperform the number of funny moments and jokes heard in the movie, the real message is that all characters are connected and what to be treated respectfully. Sometime you learn on the Galaxy level about tiny but powerful things which are precious and you never noticed them before. I was impressed with innocent characters as Baby Groot and Mantis. They are funny, sincere and probably remind someone in your life. This uncovered innocent honesty often uncover what strong, powerful and experienced guys would never say in their life that's why we need them. Need them to show that nothing wrong being crazy, honest and even stupid if it is your real feeling. Join galaxy - wide adventures filled with music hits and dances. 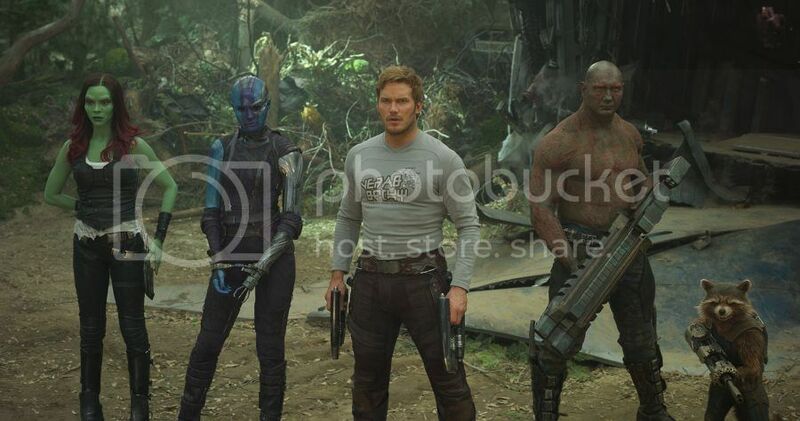 Marvel’s Guardians of the Galaxy Vol. 2 opens in theatres today, May 5, 2017.